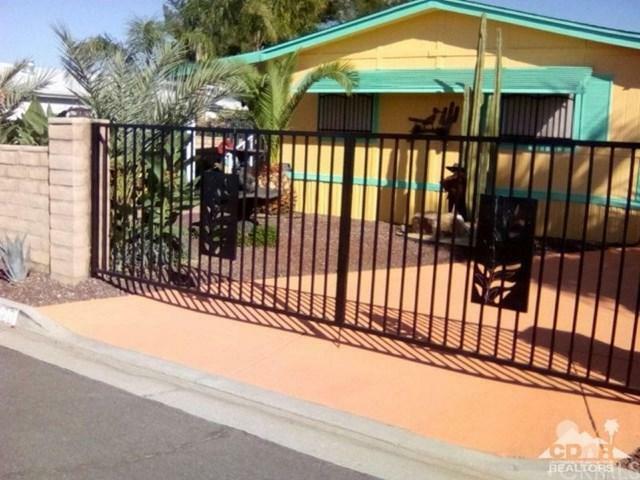 Beautiful 3 bedroom 2 bath with extra room on patio mobile home where YOU OWN THE LAND!!!!! 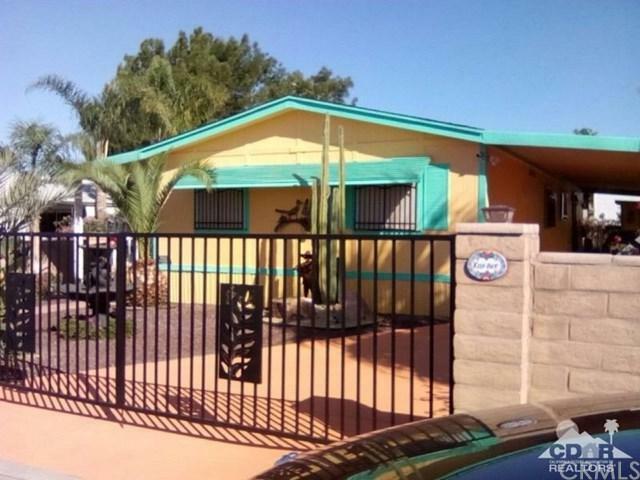 This rare to find 3 bedroom boasts of bright festive colors and has been fully upgraded with tile and wood floors. Both bathrooms have been elegantly updated with pedestal sinks and tile work. Granite counter in the kitchen. New A/C has been ordered and will be installed within 45 days. 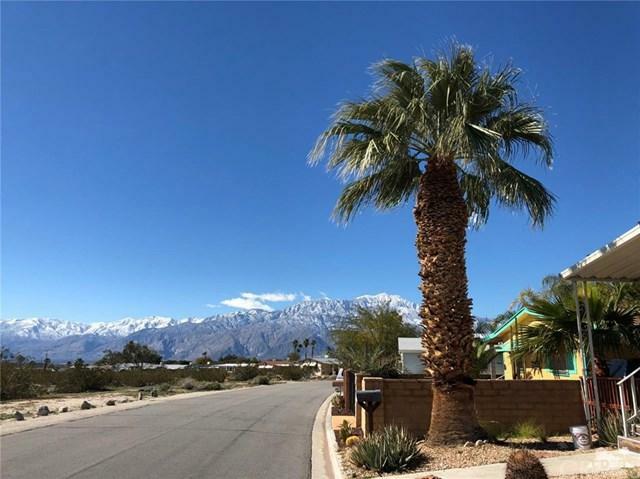 Low maintenance desert landscaping that comes with many fruit trees including an avocado, mango, mandarin, lime, and two date palms that complement the garden area. Complete privacy with brick wall and gated driveway, security system with 2 closed circuit security cameras. 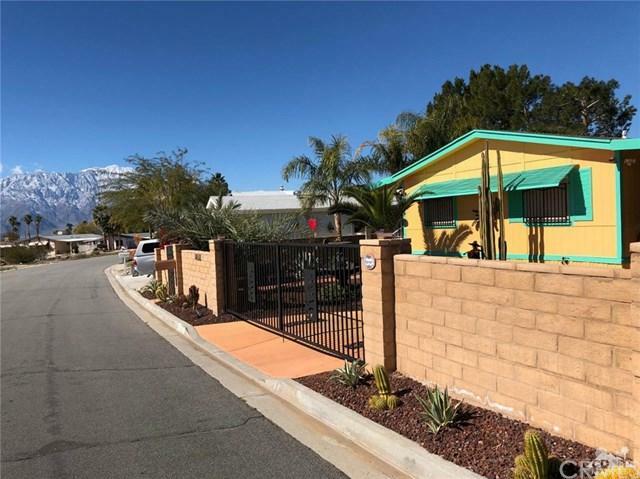 Large 2+ car carport with concrete secured posts and a wonderful mountain view. Desert Crest is a senor (Age 55+) community that offers a 9 Hole Par 3 golf course that is included for owners, natural Hot Mineral Pool and 3 Hot Mineral Spas, club house activities, and a fitness center. Call today for your personal showing!! !